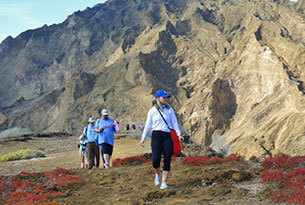 Galapagos Last-minute Deal - A Metrojourneys Special Offer & Discount! Looking for an escape from the ordinary into the extraordinary? This Galapagos last-minute deal is exactly what you need! Enjoy a relaxing day of discovery along the historic streets that form a part of the Quito’s Historic Quarter before heading over to the Galapagos Islands, where you’ll get to explore some of the most pristine landscapes, white sand beaches, and wholly unique wildlife, all of it from the comfort of one of the best yachts available in the archipelago! Hop aboard with us for this 7-day Quito and Galapagos Islands adventure, at an incredible price! You’ll create some of the most wonderful and unforgettable memories in both of these unique places, guaranteed! Welcome to Quito, Ecuador! At the airport, you will be greeted by a member of our team who will assist you with your luggage and transfer to Mercure Alameda Hotel. During the ride, you will receive a brief introduction of Quito and Ecuador along with valuable information regarding your stay in the country. A trip to Ecuador wouldn’t be complete without a photo depicting one foot in the northern hemisphere and another in the southern hemisphere. 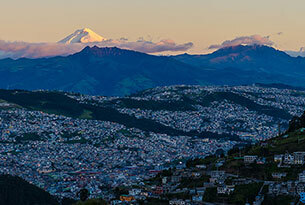 Middle of the World City is located just 13.5 km (8.3 mi) north of Quito. 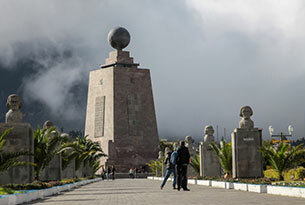 The central monument delineates the imaginary equatorial line while also housing an Ethnographic Museum, which is filled with interactive exhibits about Ecuador. 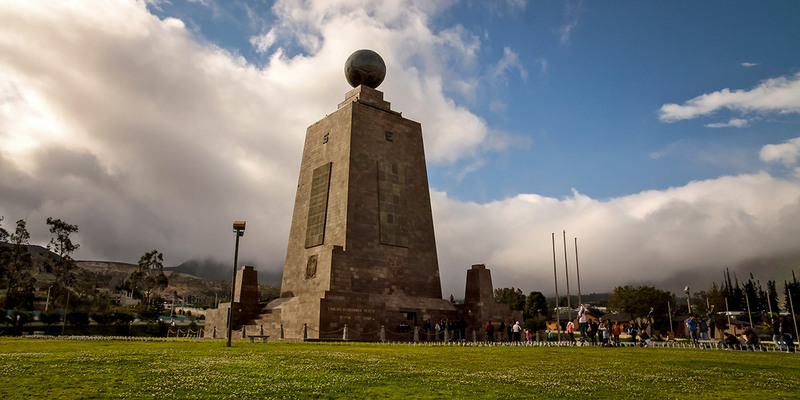 Visitors will also be able to see the surrounding, small village which offers various attractions including numerous shops, the train station, the Cacao Plaza, Colonial Quito, and the Planetarium. Overnight at Mercure Alameda Hotel. On this morning, you’ll be transferred to Quito’s airport to board your flight to the Galapagos Islands! You’ll arrive at Baltra Airport and transfer over to the Itabaca Channel by bus, where a ferry awaits to take you over to Santa Cruz Island. Following a short 30-minute bus ride over the Highlands, you’ll arrive at the restaurant where you will enjoy lunch. After heading down from the highlands to the town of Puerto Ayora, you’ll be able to visit the Charles Darwin Research Station and the numerous giant tortoises that reside there. Later, you’ll board the Yacht Isabela II. After checking in, the Captain invites you to a welcome cocktail and then dinner. After breakfast, guests disembark at Post Office Bay to visit historic Post Office Bay and the emblematic Post Office Barrell. This place has functioned as a center for correspondence in the archipelago for over two centuries! Additionally, you’ll be able to swim or snorkeling along the beach. Later on, we will visit Cormorant Point, which has an olivine-crystal beach and a brackish-water lagoon where bird species like American flamingos can be spotted. Afterward, at Champion Islet, guests can choose to snorkel, ride along the coast in dinghies or observe the underwater world from the comfort of Yacht Isabela II’s glass-bottom boat. The morning outing at Punta Suarez gifts us a spirited trek across lava terrain to visit the unique seabird colonies that populate this area. Waved albatrosses (visible from April to January), and the famous “blowhole” geyser await! In the afternoon, we disembark at this beautiful, white coral beach for a short walk to observe the sea lions, mockingbirds and finches. Guests can choose to simply enjoy the beach or explore the astonishing sites via snorkeling. Our guests head over to the eastern tip of San Cristobal Island. The trail that ascends from the beach provides spectacular views of the shoreline. After the walk, guests will have the chance to swim along the beach, snorkel, or take a dinghy ride, depending on the weather. After lunch, a dinghy ride along the coast takes our guests over to Cerro Brujo’s coral sand beach. This is an ideal site for walking along and observing a vast quantity of seabirds and shorebirds. Day 7: Transfer to Airport / Farewell! After breakfast, we will depart to the pier and then assist you with your transfer to the airport for your flight back to the mainland. Upon arrival in Quito, you’ll meet your transfer back to Casa Gangotena Boutique Hotel. IMPORTANT NOTE: Please be aware that this itinerary starts in Baltra Island and ends on San Cristobal Island. Before purchasing your tickets please confirm with your Destination Expert to make sure that your flights match the respective embarking and disembarking points. In order to qualify as a Last-minute Deal, this Package must be purchased no more than 30 days (or less) before your departure date. Rates based on double occupancy, for a single quote please contact your Destination Expert. Rates listed are for adults. Please ask your Destination Expert for rates for children under 12 years old. Galapagos itineraries are subject to change due to weather conditions, logistical reasons, guests’ safety and/or Galapagos National Park Regulations. 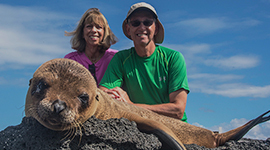 Please be aware that you can combine this Package with any of our Galapagos Cruise itineraries. Our Destination Experts will customize the package based on your request and send you a quote. 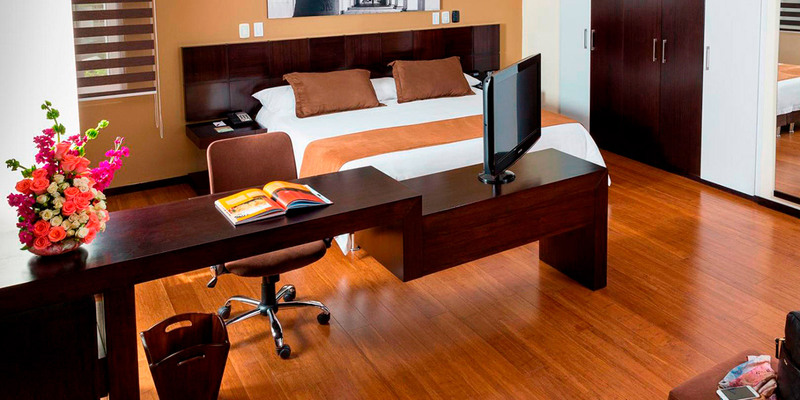 Upgrade to Casa Gangotena Boutique Hotel in Quito is an additional $250. Domestic flights (Quito- Galapagos-Quito). This can be included for an extra of $508 USD (this price is subject to availability and changes). Galapagos aboard Yacht Isabela II. We went on a 5-days Galapagos Island Cruise on the Isabela II Yacht from 15 – 20 April and a 2-day Quito tour organized and arranged by Metropolitan Touring […] The crew members of Isabela II picked us up at Seymour Airport on Baltra Island. We went to […] Charles Darwin Research Station to see the giant tortoises. Getting so close to the giant tortoises was what I once thought that unless you are Sir David Attenborough you would never do. Each Island we visited held fresh wonders. Giant tortoises, land and marine iguanas, frigate birds, blue-footed boobies and all other birds were unconcerned with our presence. On the Isabela II, the cabins were comfortable and provided for all our necessities. We were also provided with trekking poles, snorkels, diving suits, and towels for our onshore excursions […]. They looked after us very well from the beginning until we left the Yacht. 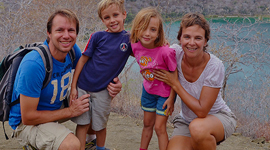 […] We were guided by crew members who have in-depth knowledge of all the islands and the wildlife of Galapagos. […] All our meals were fresh […] Every day our menus were different and delicious. The Isabela II photographer took high-quality photos of our adventure and later sent them to us as a gift. It was a privilege for us to visit the Galapagos Islands. We thank the Crew Members of Isabela II for giving us a wonderful experience and journey. 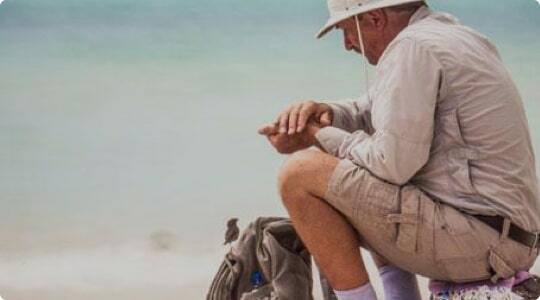 The fond memories will always remain in our heart […] I recommend Metropolitan Touring for their management of the Galapagos Island cruise and Quito Tour. Have questions? We have answers. 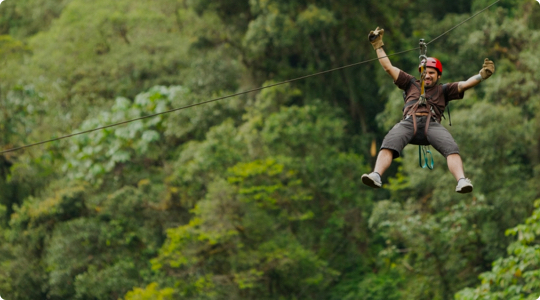 Reach out to any of our experts to help you plan your next adventure. Please, be as detailed as possible. e.g. travel dates, number of travelers, special requirements. We’re here to help you find it. Metrojourneys is devoted to offering our clients the best packages and deals available when it comes to travel in Galapagos, Ecuador, Peru, and Colombia. Safety, reliability, and unforgettable experiences are guaranteed when you book your trip with us!